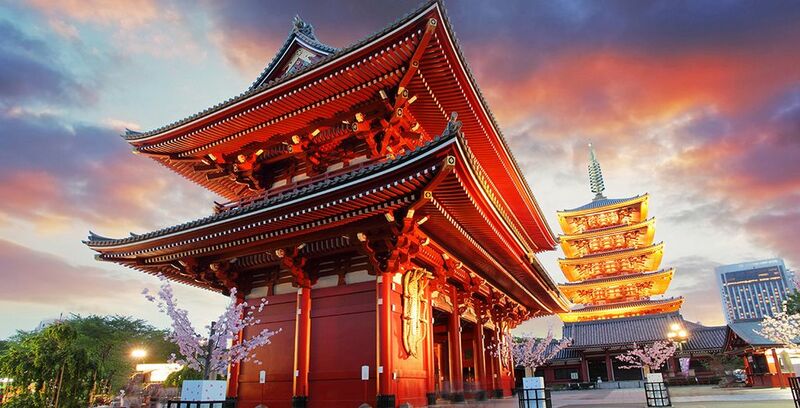 Holidays to Tokyo up to -70% off To take advantage of these offers, join now for free! A destination like no other, Tokyo is a combination of the old and new, with a vibrant and fascinating culture that radiates in the style and shape of the city. Known for its high-tech buildings and hotels, as well as culture-filled shrines and historical locations, visitors to the city will find plenty to do. Tokyo holidays can be tailored for practically any interest, from exploring the city’s numerous fashion districts, ranging from alternative styles to luxury brand stores, through to the nightlife and underground scene. With plenty of restaurants, countless karaoke bars and a unique feel to every section of Tokyo, you’ll never be bored on a visit to Japan’s capital. 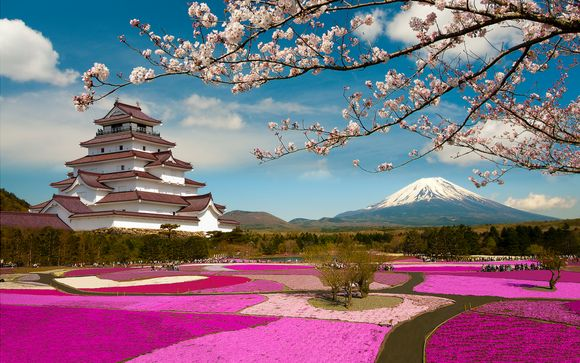 Sightseers flock to the city during Sakura season to experience Japan’s many festivals as well as appreciate the cherry blossoms in full bloom. For only a short period each year, Tokyo’s streets are covered in the beautiful pink petals, a sight beloved by tourists and locals alike. An urban city with many green spaces to discover, Tokyo has something for every visitor, from family groups to individuals. For those who enjoy Japan’s unique and fascinating history, and want to explore the culture of the country for themselves, Tokyo is the perfect place to start. 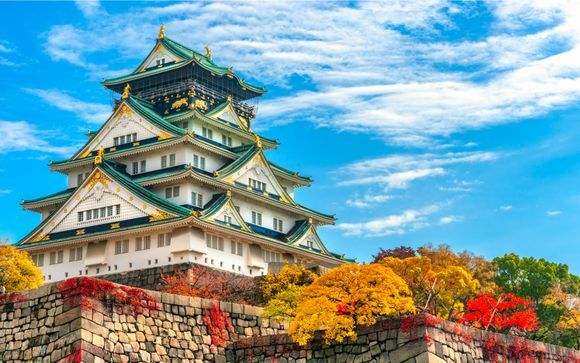 With many museums, galleries and historical sites to explore, Japan is also one of the best-connected countries in the world, making it easy to travel from city to city with the country’s highly efficient rail system. For those who prefer to remain within the city limits, Tokyo has much to offer. From up-and-coming areas with unique cafes and bars to the more luxurious side of Tokyo, with five-star cuisine and excellent hotels, anything you could ever want can be found on its many streets. Navigating around the city using Tokyo’s underground, it’s possible to experience the nightlife of the city as well as enjoy many different shopping and cultural experiences, from visiting shrines to enjoying unique shopping trips in areas like Harajuku. For families and couples, navigating the city for each person’s tastes is easy, while the city is entirely accessible for solo travellers or friendship groups to enjoy. Featuring many fascinating articles and examples from past Japan life, this cultural museum focuses on the military history of Japan with fascinating exhibits about the country’s Samurais, including genuine articles of armour and weaponry from Tokyo’s history. A must for families and animation fans, Tokyo Disneyland is just as magical as its European and American counterparts, with unique displays, food and rides to experience in its own enclosed park area. For those travelling with children, Disneyland is a must. 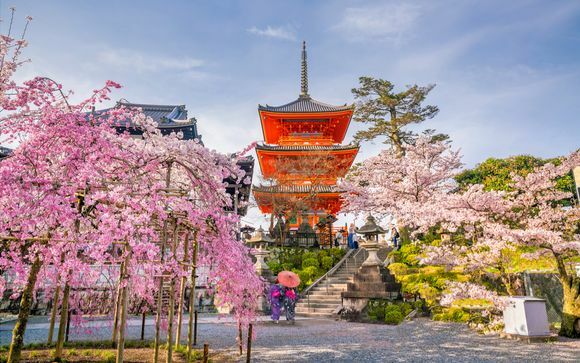 One of the most beautiful parks within the city of Tokyo, Ueno Park is a prime location to view the cherry blossoms fall, with festivals held within the ground throughout the year as well as stunning walks and sights to enjoy. Tokyo’s oldest temple, Sens?-ji, reflects the historical importance of the region with a building dating back to 642. Built to honour the goddess of mercy, Kannon, this temple is not a sight to miss for those looking to experience traditional Japanese culture. The tallest tower of its type in the world, the Tokyo Skytree includes a 360-degree viewing platform that stands far above all nearby buildings and skyscrapers, providing an unrivalled view of the whole of Tokyo beneath your feet. Located in the heart of the city, in classic Japanese style, the Toshi Center Tokyo is a four-star hotel modelled after traditional Japan hospitality, complete with spacious bedrooms, modern bathrooms and floor seating throughout. With panoramic views over Tokyo itself, it’s no wonder why this hotel is a popular choice for visitors. Modern, stylish and with all the amenities you could need to explore Tokyo, the Agora Place Asakusa is ideally placed for those looking to experience all Tokyo has to offer. A short walk from train lines to the rest of Tokyo, for shopping, eating and enjoying the nightlife, this three-star hotel is the perfect base for exploration. Just a short walk and train ride from many of Tokyo’s best shopping districts, parks and historical sites, the affordable Villa Fontaine Ueno is the ideal combination of chic and modern. Perfect for those looking to experience more of Tokyo, from travelling in the daytime to enjoying its many bars, restaurants and clubs in the evening, this three-star hotel has all you need. If you're searching for Eastern culture in the extreme, look no further. 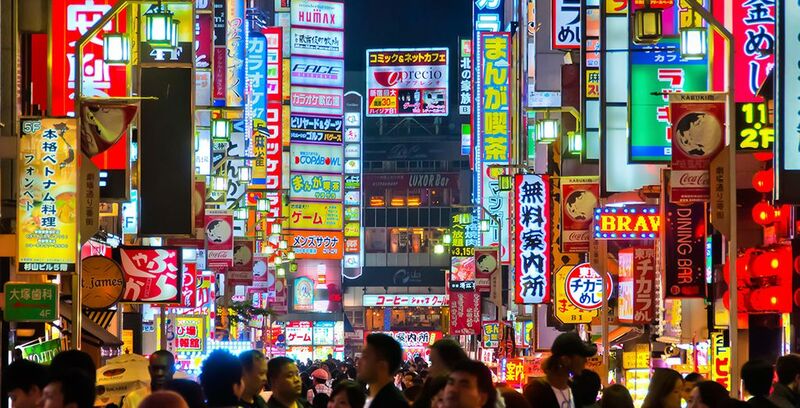 We can help you with fabulous prices to visit Tokyo – where the ultra-modern skyline will take your breath away, and the bright neon lights and bustling streets will have you not wanting to come home! You'll be absolutely enthralled by the awesome activities in this awesome metropolitan prefecture – the most populous metropolitan area on the globe today. 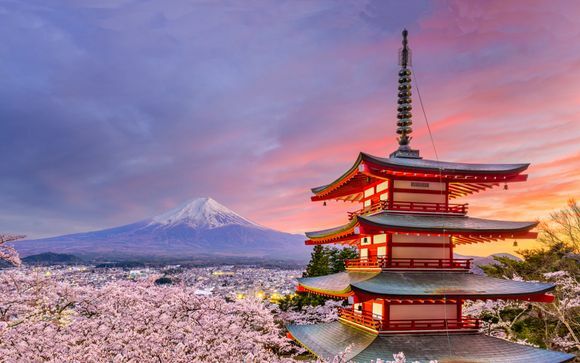 Tokyo is a bustling and progressive city on the eastern coast of Japan's main central island of Honshu and overlooks the nearby Tokyo Bay – home to one of the busiest seaports in the world. 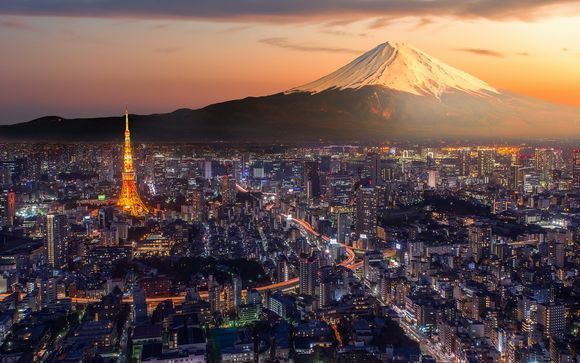 Known worldwide as the home of cutting-edge Japanese technology brands such as Sony and Hitachi, Tokyo is a sprawling city of ultra-modern architecture and ultra-efficient transport systems – as well as ancient temples, shrines and palaces. With our fantastic last-minute deals, you'll be able to take in everything this fabulous city has to offer – from its museums and buildings, through its shopping centres and stadiums, to its bars, restaurants and nightclubs. You'll be able to visit the ancient Imperial Palace, home of the Emperor of Japan and the Imperial family. You can visit the plethora of Tokyo's fascinating museums – such as the Tokyo National Museum, the National Museum of Emerging Science, and the National Museum of Modern Art. For theatre lovers, there are the National Noh Theatre and the Kabuki-za – where you can take in some traditional Japanese drama. There is the Tokyo Dome, home of the Yomiuri Giants baseball team, for the more sportingly inclined. And there is even the chance to visit some exotic animals at Ueno Zoo – where you'll be able to see everything from lions and polar bears to penguins and pelicans. Once you have had a hectic day visiting all of these fantastic cultural attractions, you'll probably be in the mood for a replenishing meal and some revitalising drinks. Tokyo is home to the most Michelin-starred restaurants in the world (more than twice the number of Paris, its nearest city rival) - where you'll be able to tuck in to some of Japan's fabled cuisine, such as sashimi and sushi, as well as sampling some of its traditional sake (or rice wine). From there, if you still have the energy, you can go on to dance the night away in one of Tokyo's diverse range of bars and nightclubs, or even take in some live music from top international acts in one of the city's music venues. What is the weather in Tokyo? A fairly temperate country, Tokyo’s weather patterns are quite similar to those found in Europe, though the hotter and colder seasons do reach greater extremes. Depending on the time of year you choose to travel, be sure to pack accordingly, with warm winter gear for the snowy season and light and airy clothing for the warmer months. With so much to see and do in and around Tokyo, knowing what budget you need can vary from person to person. For those who enjoy independent travel, the train system is both cost and time effective, with rail passes available for the duration of your visit for a better price than booking each trip separately. If your interests are the shopping districts, bars and restaurants of Tokyo, expect to need a higher budget in line with a capital city, but it’s entirely possible to enjoy a lot of what Tokyo has to offer on a lower budget, from the parks and festivals to unique cafes and lower-cost shopping centres. There are many different Tokyo holidays you can take, so having an itinerary handy can help you fit in all you want to do during your time in Japan. 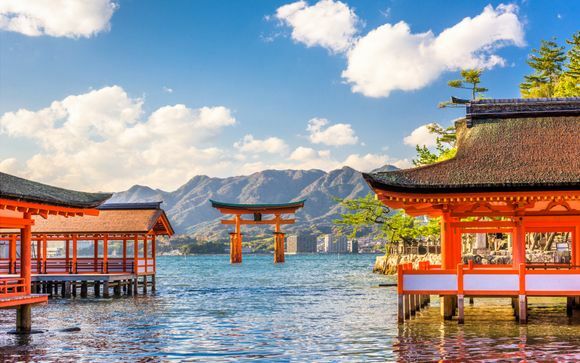 Sign-up to our site today and don't miss out on our exclusive, hand-picked deals to the Japanese capital. If you're looking for a convenient location at the heart of the action, we have the right hotel accommodation deals for you – with full-board, king-size rooms, hotel Wi-Fi, and bars and restaurants in the hotel. 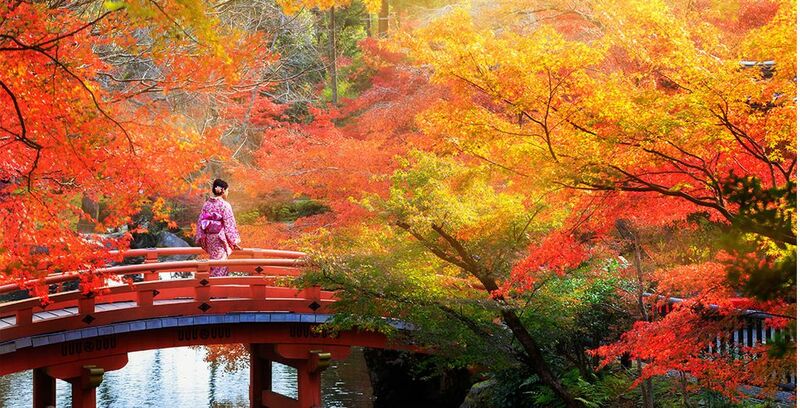 Discover our Tokyo booking, holidays to Japan, Cruises Japan and more secret escapes travel.